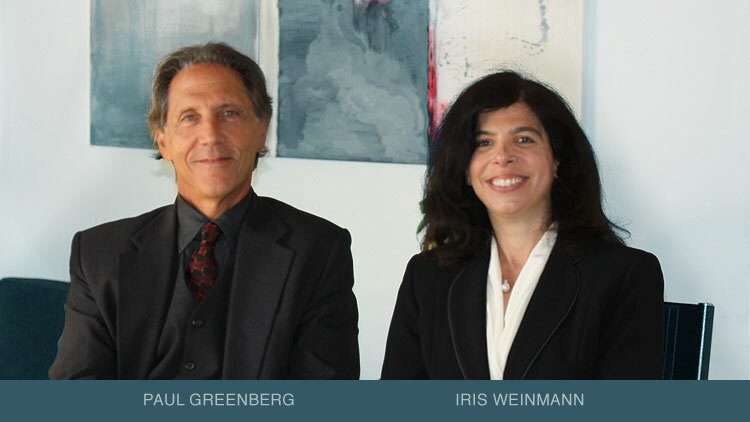 Greenberg & Weinmann has successfully represented California employees for over 25 years. In the process, we have provided guidance thoughtfully and obtained justice with steely resolve. Greenberg & Weinmann has aggressively pursued and obtained justice and dignity on behalf of employees since our first trial victory on behalf of a mistreated employee in Los Angeles Superior Court over 25 years ago. We have achieved numerous six- and seven-figure results on behalf of our clients. We pledge our loyalty and undivided attention to our clients. If you are uncertain whether you have a case, please read our FAQ (Frequently Asked Questions). If you'd like to consult with us, please call us at 310-319-6188 or fill out our "Ready to Talk?" form. CELA, the 1200 member strong statewide organization of lawyers dedicated to enforcing employee rights, had its annual convention in Oakland last week. There was a special first day session on Thursday dedicated only to defamation, which was attended by an overflow crowd. Paul Greenberg was one of the three presenters along with “The Don of Defamation” Chris Whelan and outgoing CELA chair Bernard Alexander. One of the many highlights of the defamation program was the power point presentation given by Paul Greenberg and co-authored by Jane Tanimura of Greenberg & Weinmann, the editor of the California Employees Defamation Blog. June 2014 – In an article published in Advocate: Journal of Consumer Attorneys Associations for Southern California, partner Iris Weinmann gives an overview of making and responding to CCP 998 offers. Frequently, workplace events give rise to a workplace investigation. The investigation may be conducted by an in-house HR person or a professional outside investigator. Workplace investigations play a central role in determining whether to discipline or terminate an employee and can have legal consequences for both employees and employers. An action for defamation can potentially result if false statements are made to the employee’s detriment. Although an employer may argue that statements made in the course of a workplace investigation are protected, that privilege would usually be conditional at best, meaning it would be lost if the publication was motivated by malice. Deaile v. General Telephone Company of California (1974) 40 Cal.App.3d 841, 847. Defamation Defense: What is the Conditional Privilege? California Civil Code § 47(c) grants a conditional privilege against defamation to communications made without malice and on subjects of common interest. This conditional privilege is often used by employers to argue that they should be protected from liability for statements made about employees to other employees in the employer’s organization. Critical to determining whether the conditional privilege is even applicable is 1) whether the allegedly defamatory communication was made on a matter of common interest and 2) whether the employer acted without malice in making the statement. Only if both of these requirements are met can an employer be immune from liability for his or her statements. Continue reading: Defamation Defense: What is the Conditional Privilege? Defamatory Defense: What is the Absolute Privilege? Continue reading: Defamatory Defense: What is the Absolute Privilege? What is the Statute of Limitations for Defamation and When Does it Begin to Run? My Employer Has Published False Critisism About My Work Performance. Does California Law Allow That?